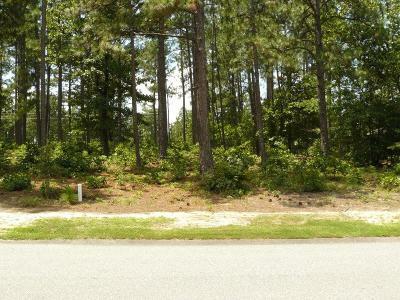 Located in the gated community of Pinewild Country Club in Pinehurst, amidst many gorgeous homes, this great elevated lot backs up to 4th tee of Pinewild's Magnolia Course, and enjoys a pleasant view of the course across the street. Located in close proximity to the clubhouse and other club amenities, it has easy access to gate. Note: No current Pinewild CC membership.